← Who is your Pick For The Super Bowl? Hollywood Celebrities love to get publicity anyway they can, they are always at the biggest event. 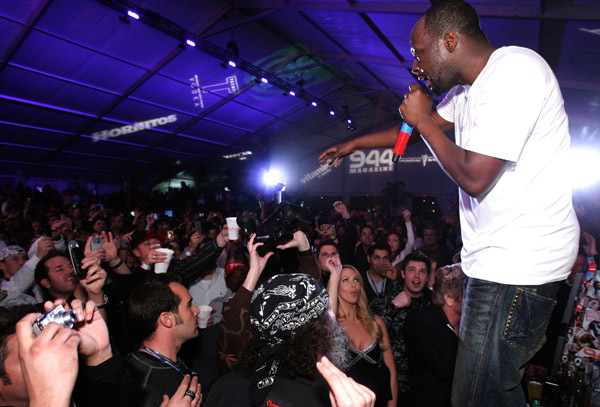 Wyclef Jean performed at the Trump Vodka party in Scottsdale Arizona. A lot of Celebutants were also present for the bash. Paris Hilton, Kim Kardashian and her sisters Courtney and Khloe. Not sure which team they are routing for or they just need the photo opt.